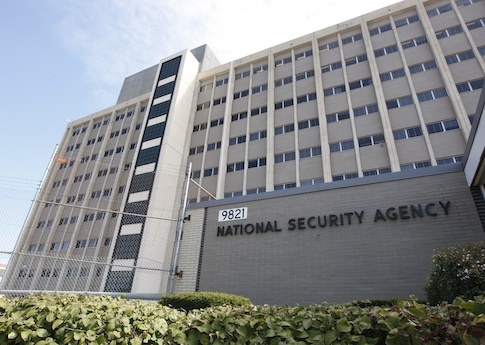 The Justice Department says a former contractor with the National Security Agency stole at least 500 million pages of government records that included top-secret information concerning military operations. The Justice Department submitted a 12-page court filing on Thursday indicating that ex-NSA contractor Harold Martin III, 51, who was arrested in August, will likely be charged with violation of the Espionage Act, in addition to previous charges, the Wall Street Journal reported. News broke earlier this month that Martin had been arrested by the FBI and charged with theft of government property and unauthorized removal or retention of classified documents. He had been secretly arrested by federal officials in August, while they investigated whether he stole and disclosed classified computer code meant to hack into foreign government networks. The new filing sheds further light on the alleged crimes committed by Martin, a former naval officer from Maryland who recently worked for Booz Allen Hamilton, a leading defense contractor. The Justice Department through its searches turned up "thousands of pages of documents and dozens of computers and other storage devices and media containing, conservatively, fifty terabytes of information" at Martin's residence and in his car, according to the filing. Fifty terabytes can hold 500 million pages of documents. "Among the many other classified documents found in the Defendant's possession was a document marked as ‘Top Secret/Sensitive Compartmented Information' (‘TS/SCI') regarding specific operational plans against a known enemy of the United States and its allies," the court filing stated. The court filing also said that Martin had amassed an arsenal of weapons, including firearms. The document did not, however, provide evidence as to whether Martin shared classified information with other individuals or foreign countries. A federal court in Baltimore, Maryland, plans to hold a hearing on Friday to decide whether Martin should be released pending trial. This entry was posted in National Security and tagged Cyber Security, Department of Justice, NSA, The Cyber Threat. Bookmark the permalink.